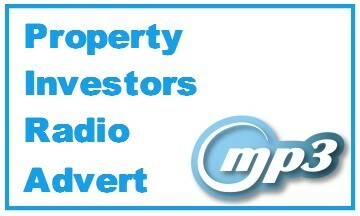 How can we help you with your property decisions? Being local is vitally important to understanding the market where your property is located, that's why our Valuers have lived in the North Shore and Rodney district in excess of 28 years. This depth of knowledge helps us to understand the real value of your property when preparing the report as many properties can be influenced by local variations, such as proximity to sought after amenities. Hibiscus Coast - Orewa, Waiwera, Hadfields Beach, Silverdale, Stillwater, Red Beach, Stanmore Bay, Arkles Bay, Tindalls Beach, Matakatia Bay, Army Bay, Big Manly, Little Manly, Gulf Harbour, Whangaparaoa. East Coast Bays - Albany, Torbay, Browns Bay, Long Bay, Okura, Redvale, Waiake, Northcross, Rothesay Bay, Murrays Bay, Mairangi Bay, Pinehill. North Shore - Glenfield, Beachhaven, Birkdale, Wairau Valley, Sunnynook, Totara Vale, Birkenhead, Chatswood, Kauri Park, Northcote, Milford, Forrest Hill, Hauraki, Takapuna, Devonport, Belmont, Bayswater and Narrowneck. Dairy Flat, Greenhithe, rural Albany, Paremoremo. Rodney West - Huapai, Kumeu, Helensville, Parakai, Coatesville, Riverhead. Rodney North - Warkworth, Wellsford, Waitoki, Pine Valley, Wainui, Mahurangi, Puhoi, Snells Beach, Algies Bay, Sandspit, Omaha, Point Wells, Leigh. 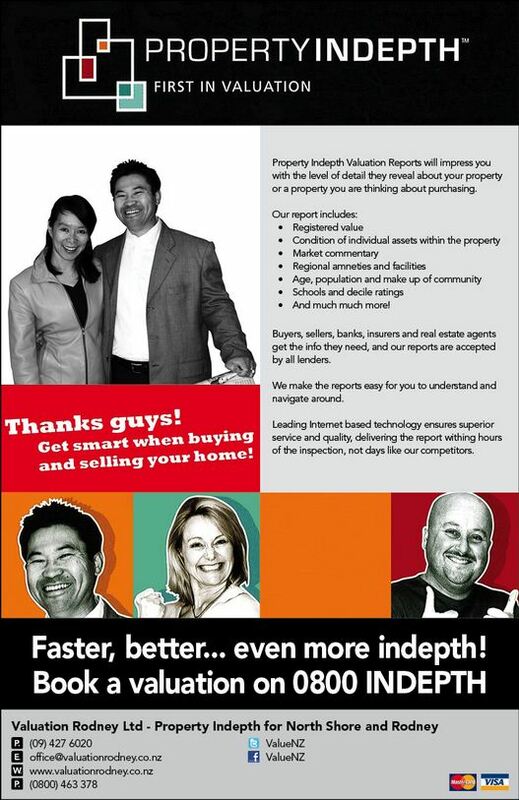 Valuation Rodney Ltd are the franchisee for Property Indepth® for the former Rodney and North Shore district council areas. Being part of the franchise of Property InDepth® gives you, our customers, the added benefit of being able to deal with one nationwide brand for valuations should you have any property outside Valuation Rodney's area. 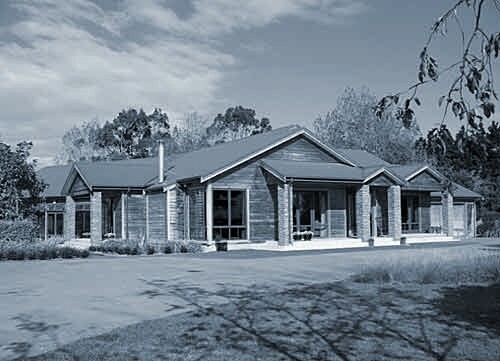 In fact, the nationwide group of Property Indepth® is now one of the largest residential and lifestyle valuation organisations in New Zealand. Our valuations are accepted by all lending institutions and we are recognised on many of the leading Banks preferred valuer panels. Benefits for you include one point of contact, one consistant easy to understand valuation report, acceptance by all major lenders, as well as Property InDepth being on the preferred list of many of the country's leading financial institutions. What are your Valuation Requirements? We can also provide a Desktop Assessment of value, which is a short form type of report that does not include an on-site inspection. These low-cost options are ideal for Trust & Family Transfer purposes, or for a quick indication of value, and are prepared from research conducted by us of our property database. Please note: A full registered valuation would be required for mortgage/finance security purposes. 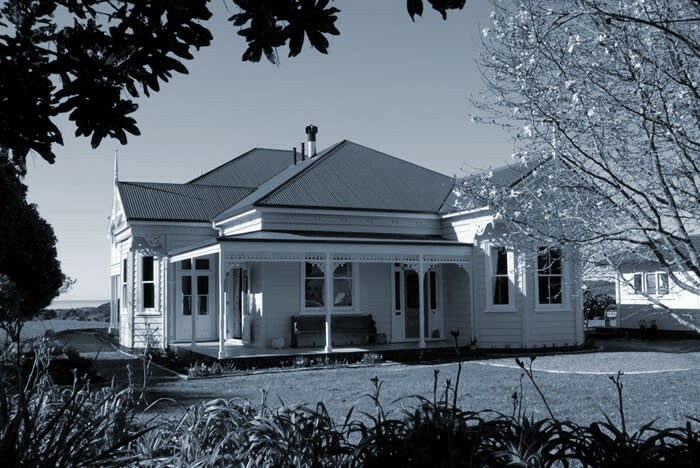 All of our Valuers are members of the Property Institute of New Zealand, the leading professional body for standards, qualifications and ethics across all facets of the property profession within New Zealand. As a membership requirement, our Valuers must accumulate "Continuing Professional Development" points through training, conferences and education to ensure we are up to date with the current requirements, skills and standards for valuation practice. Look out for our latest advert (below) appearing now in the North Shore Localist. You can also view our Localist web site by clicking on this link. 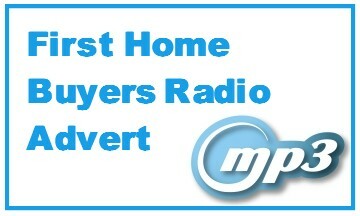 Valuation Rodney have teamed up with local Radio Station Times FM and RadioLIVE to promote our services. 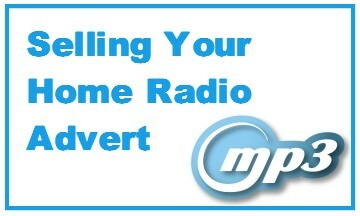 Listen to the stations to catch our adverts or click a link below to listen. Sponsorship of Heather Wilcock and the production of "The Frog Prince". Heather Wilcock, Head Girl at Orewa College, has been selected for a scholarship to attend the New York Film Academy in 2012 as she begins, what we believe to be, a very successful career in the performing arts. Good luck and Bon Voyage Heather, glad we could assist. 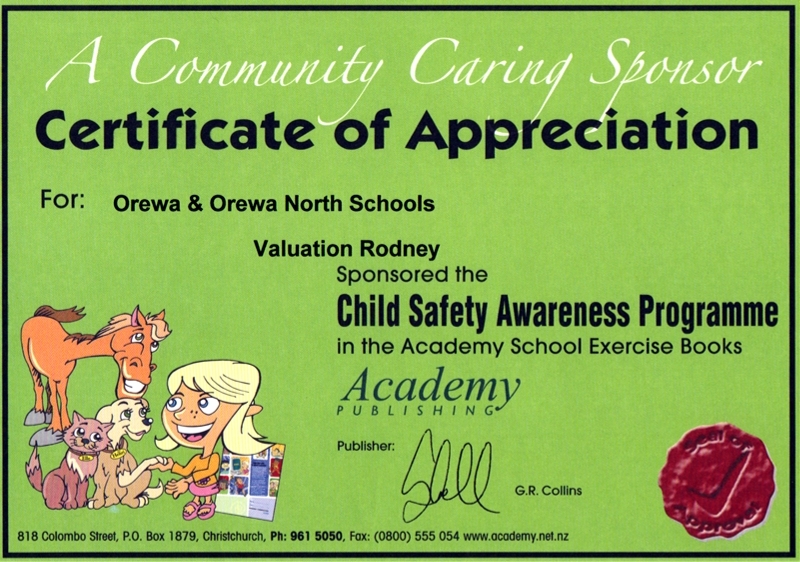 Child Safety Awareness Programme for Orewa and Orewa North Schools, 2011.